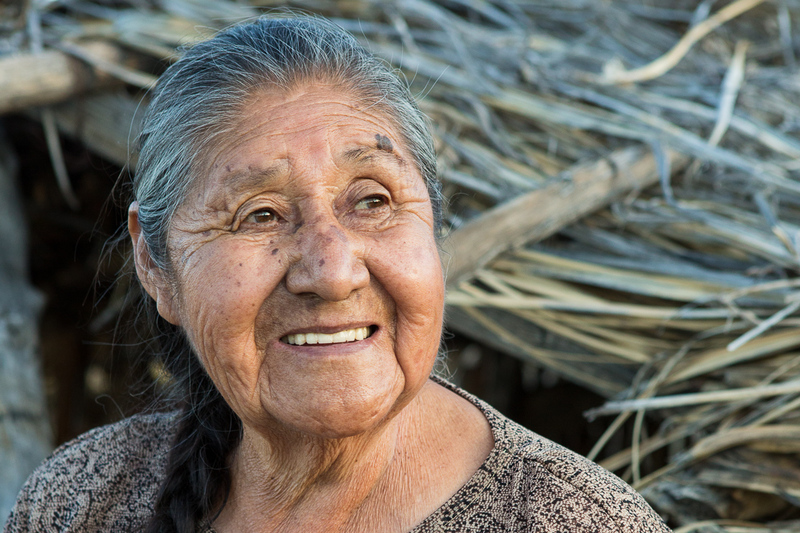 On Saturday, August 10, we returned from a trip to Baja organized by basket weaver Rose Ramirez and anthropologist Mike Wilken. 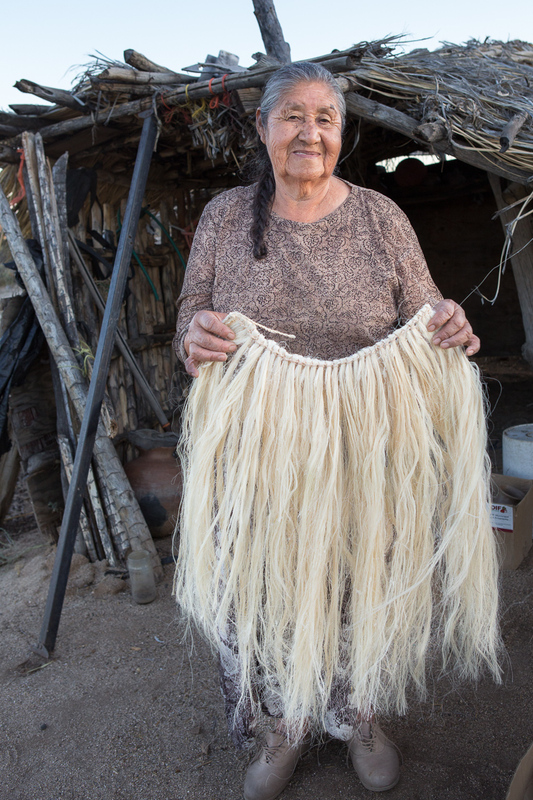 Above is an image of Paipai elder Teresa Castro, an internationally renowned weaver and potter, holding a skirt she wove with yucca fibers from a Yucca shidigera. 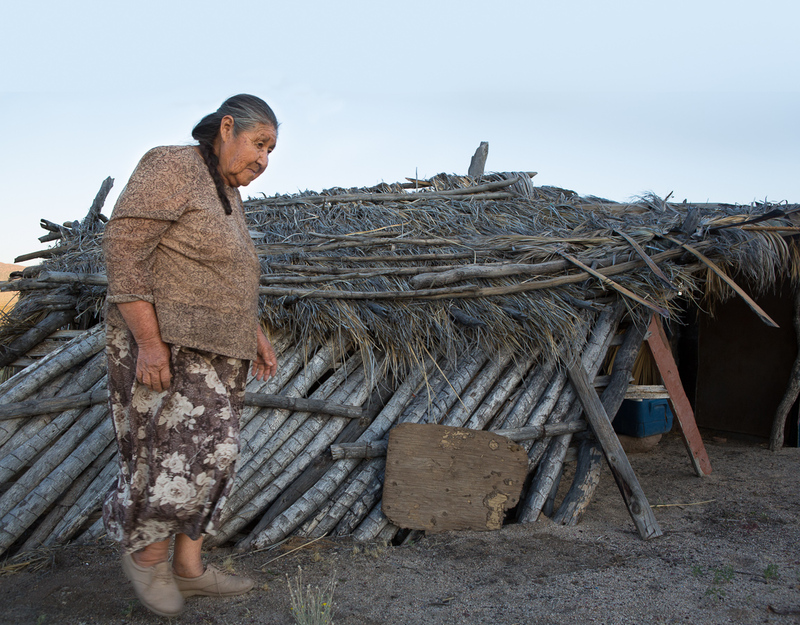 The skirt is now a part of my small but growing collection of artwork from extraordinary Baja weavers and potters. 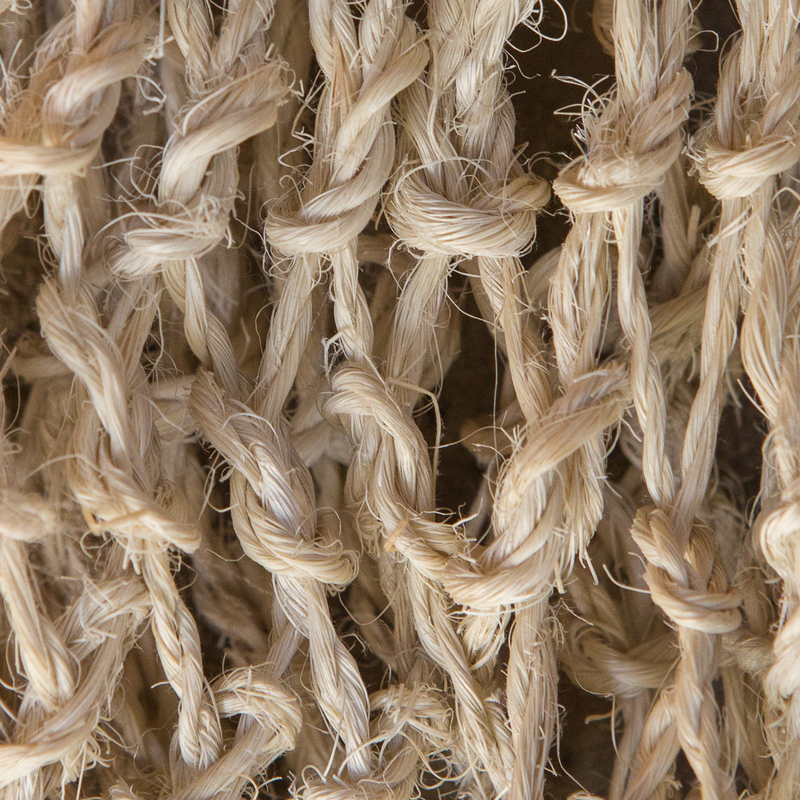 I have a special relationship with Yucca shidigera. Also known as Spanish bayonet, I was once punctured by two of the bayonet-like yucca leaves as I was (unmindfully) photographing prickly pear cactus in Pinyon Flats, CA. 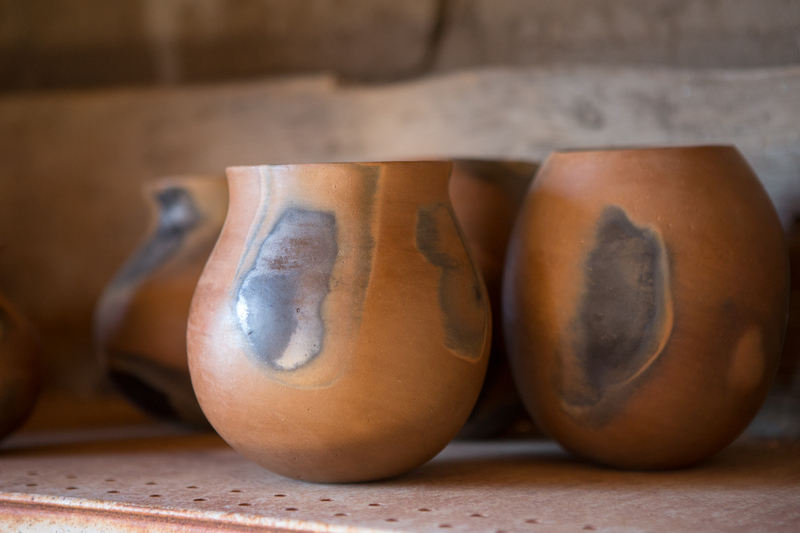 My yucca puncture wounds were treated, and healed overnight, with the near-miraculous pinyon pine sap. 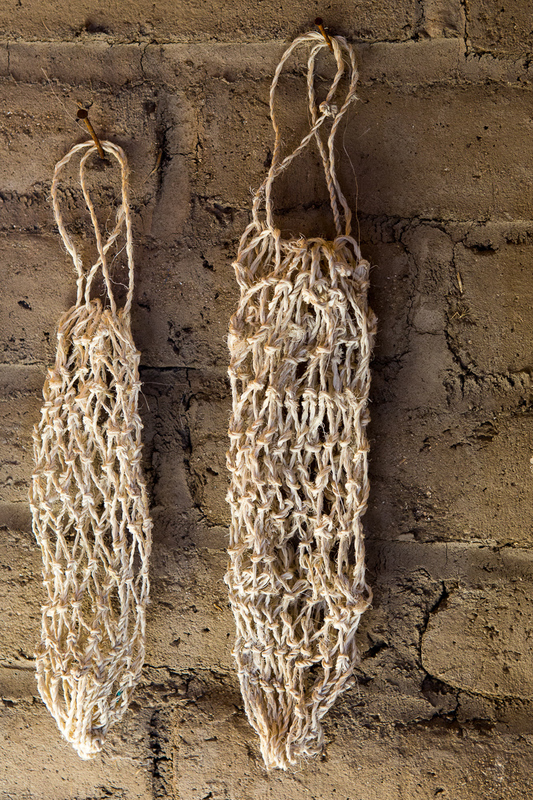 Above and below are photos of Teresa Castro’s workshop built of yucca stalks. 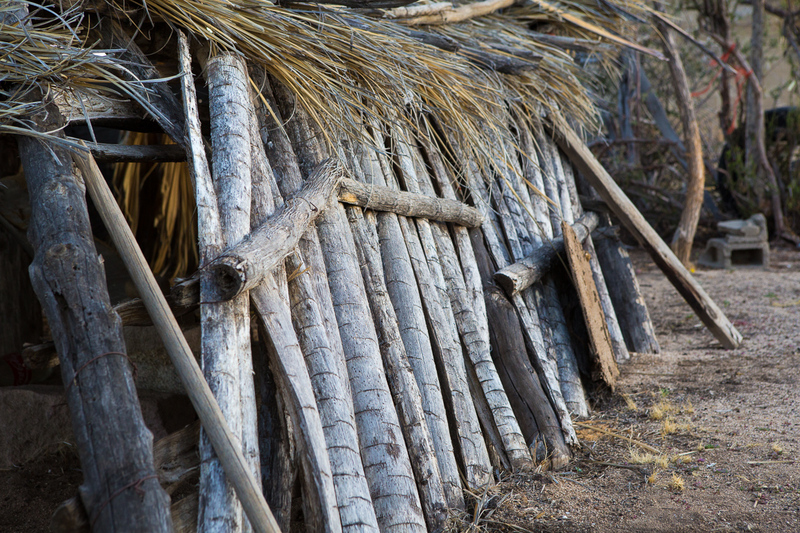 According to Mike Wilken, who has lived and worked with Baja Indigenous communities since the 1980’s, the dry stalks of Yucca shidigera and Yucca whipplei are used to form walls for sheds, ramadas and other informal structures. 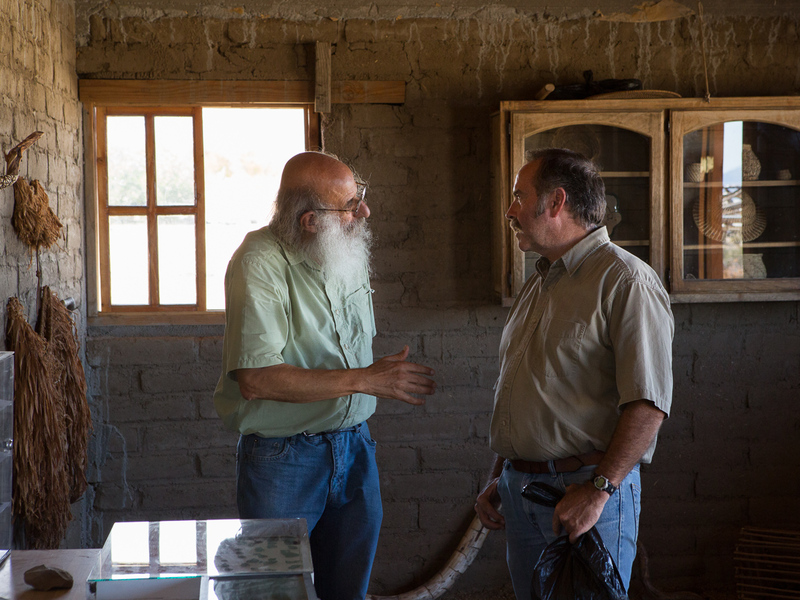 In the photo above, and the close-up below, are agave gathering nets woven by Daria Mariscal, renowned Paipai potter and weaver living in Santa Catarina. 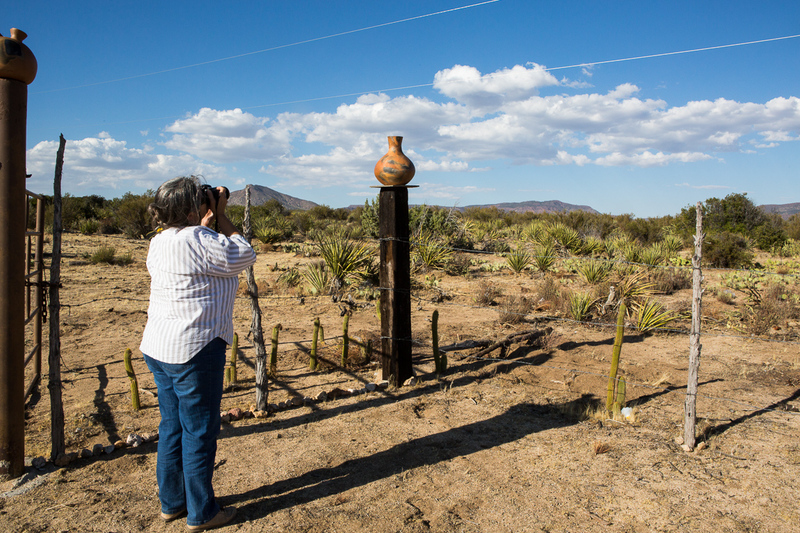 In the photo below, ethnobotany calendar collaborator Rose Ramirez photographs one of the beautiful pots at the entrance to Daria Mariscal’s home. 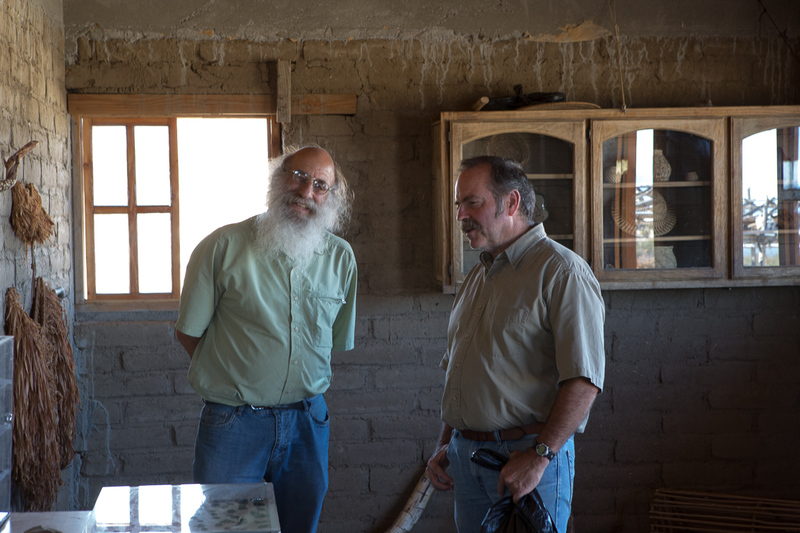 In the photos below, I imagine that Heyday Press publisher Malcolm Margolin, who accompanied us on our trip, and Mike Wilken are discussing the extraordinary craft of the Paipai artisans.